I’ll say it before and I’ll say it again: each beauty writer has a tendency to hoard a specific category of products, and I have a soft spot for the face mask. Sheet masks, gel masks, one-minute peels, I’ll try anything thrice, especially if it boasts brightening or nourishing effects. The lure of glowing, refreshed skin is irresistible to me. 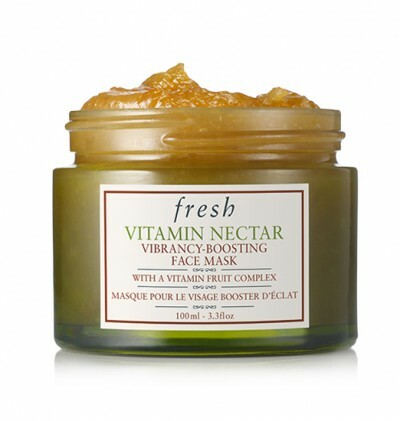 When Fresh launched its Vitamin Nectar Vibrancy-Boosting Face Mask ($80), I knew I was ready for another adventure. So far the journey’s been a good one, for the most part. The mask is a smorgasbord of citrus fruit, so it does literally feel like rubbing high-end marmalade all over your face, but that’s a misleading quality, truth be told–despite the highly uplifting natural clementine scent, the mask is potent, and leaving it on for too long can give your face an unpleasant tingle. 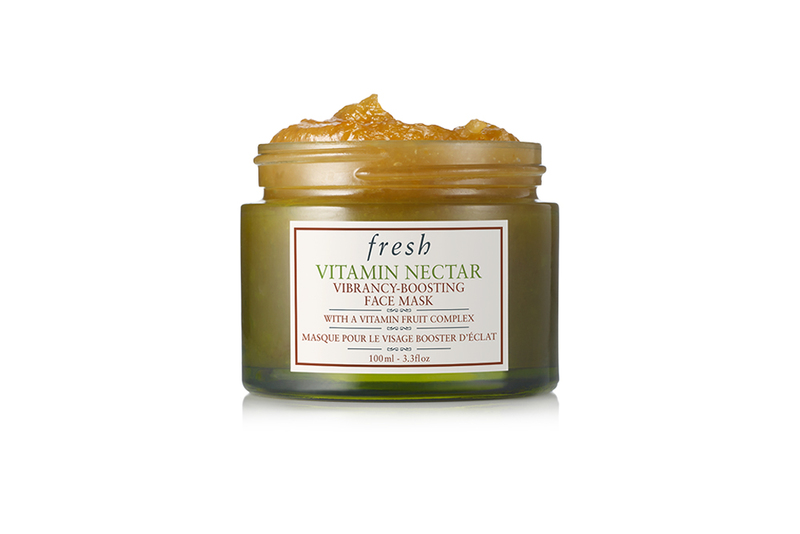 With the texture of a gentle sugar scrub, the mask is meant to be rubbed on for some physical exfoliation while the potent cocktail of vitamin C and fruit acids give your skin a chemical exfoliation. Ten minutes later, you wash of the mask. 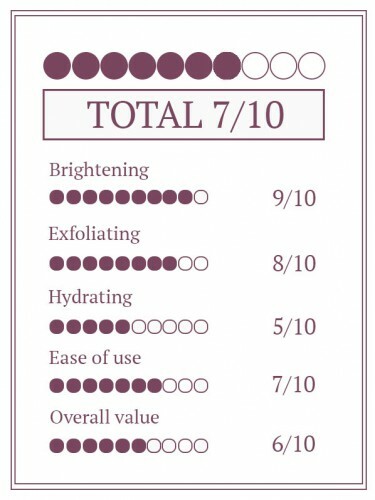 It does claim to “reveal radiant skin in one use” and yes, my skin did shine after the initial rinse, but I’ve also achieved the same glow with five dollar sheet masks, so as far as dewiness goes, I’m a little underwhelmed. 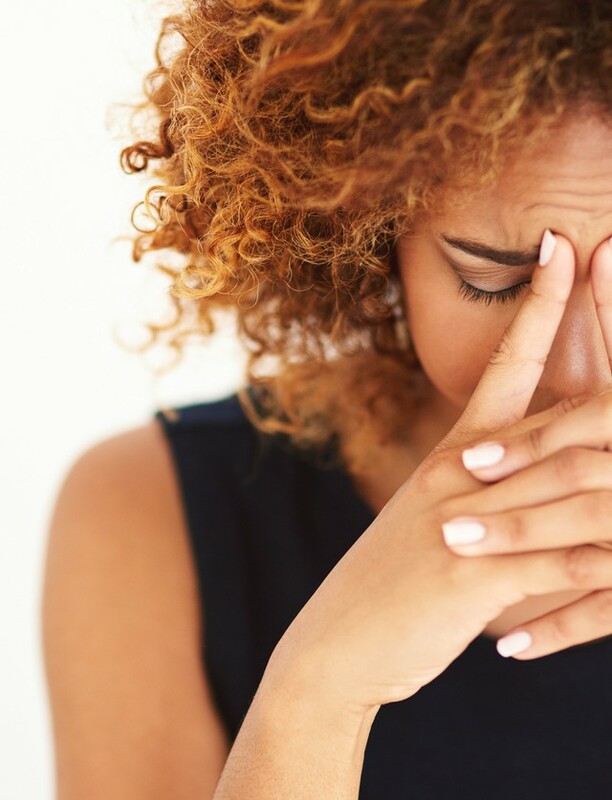 I’m far more impressed with the re-texturizing effect of the chemical peel; despite my skin looking good, it was feeling it with my fingers that showed me the true effects of this product. Exfoliating masks can be rather finicky–I hate having a mask shed all over your T-shirt while you’re putzing about with chores or paperwork, and this one definitely leaves you little presents of orange and lemon bits–but I do have to admit that the serum the citrus fruit is suspended in is many times more effective than the fruit peels themselves. 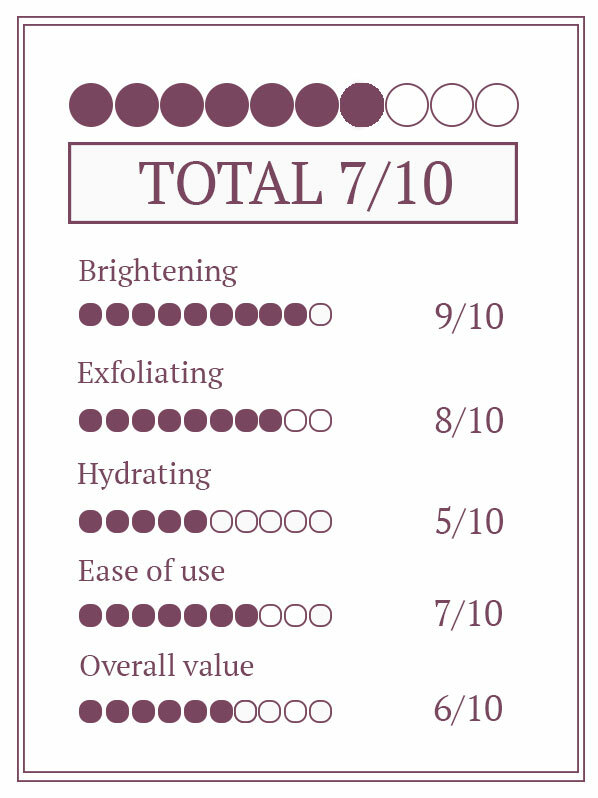 In fact, the serum is so well-drenched in vitamin C that I wouldn’t use it any time the skin feels inflamed at all. I would take the directions to only use this item twice or thrice a week seriously, for the record; some of us have thicker skin and might want to push the limit, but it’s not my disposition to be too rigorous with chemical peels. I’ll take my exfoliating grains and sugar scrubs instead, thank you very much. In all, this face mask is definitely an effective and lovely treat for anyone who’s a big fan of radiance-revealing products, but personally, I do feel that I need a little more bang for my buck than a fancy citrus spread for the money this costs. I know that no product is perfect and that this isn’t actually marmalade, but I need more from a face mask than just a concentrated citrus fruit spread, even one enriched by conditioning soybean oil and sugar maple extract. The mask does seem to deliver a boost of radiance, but not with the longevity and luxurious hydration you would want from mask that literally boasts vibrancy. 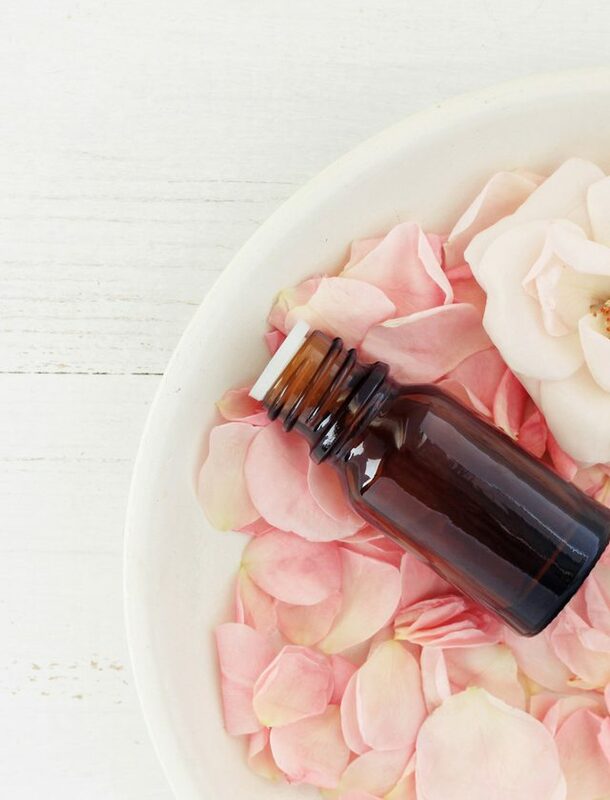 To me, a vibrant face means glowing, happy skin that is plumped and petal-soft to the touch. 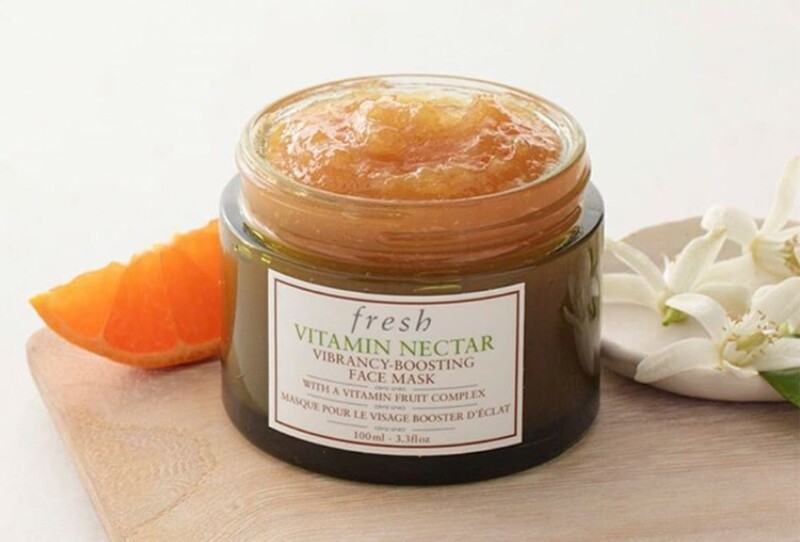 After a dance with the Vitamin Nectar Vibrancy-Boosting Face Mask, I can confirm that repeated use does indeed enliven, brighten and soften the complexion, but it sorrowfully falls short on truly nourishing or even protecting the moisture barrier of the skin. Your face might be glowing and feel in good shape, but, speaking personally, mine was parched within seconds. I would highly recommend a layer of serum or calming moisturizer to follow every use of this product, which means, if nothing else, that my hunt for the perfect brightening mask continues for now.